!! 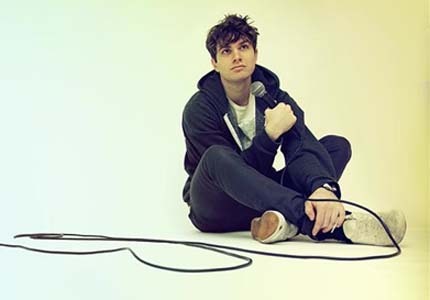 OMG, he’s naked: Funny Man Joel Dommett !! I love funny men and their funny bits. As a punishment on the BBC show Impractical Jokers, Joel Dommett is made to go into the dry cleaners and take his kit off. I love that he tries to give her his shoes; “you don’t do shoes? that’s fine, that’s fine”. Put your shoes back on you dingle-berry. See the screenshots of his front and back bum, after the jump. UPDATE: We have removed these images upon request. 6 Comments on "OMG, he’s naked: Funny Man Joel Dommett"
He is hardly cadaver white Shannon. You sound really stupid. Why did you even bother to click on the page? He’s funny and hot? Sounds good to me! Shannon, I think you have a problem – he’s white, ok? If you don’t happen to like white guys, though, that’s fine…just leaves more for me. Shannon, you know what color the guy will be from the lead photo on the main page. If you’re such a racist that you hate all people who aren’t dark then don’t click on the link only to fill the space wtih your whines. There are a lot of websites that specialize in dark-skinned men so spend your time there. I don’t consider him pasty, just because he’s not a melanoma case waiting to happen, he looks fine to me.